Enjoy watching rising country music star Tegan Marie's video for "Horses" as a soundtrack for the "Spirit Riding Free" show coming to Netflix. Tegan’s collaboration with DreamWorks Animation and its Netflix original series, SPIRIT RIDING FREE created an amazing music video that captures her love of horses and the essence of the song and TV show series. Watch Tegan Marie performs her original song “Horses” presented by DreamWorks below and check out her visualizer video below. Listen to Tegan Marie – “Horses” (for Spirit Riding Free) [Visualizer] video. Tegan Marie Horses Post was shared on Instagram by the rising star. 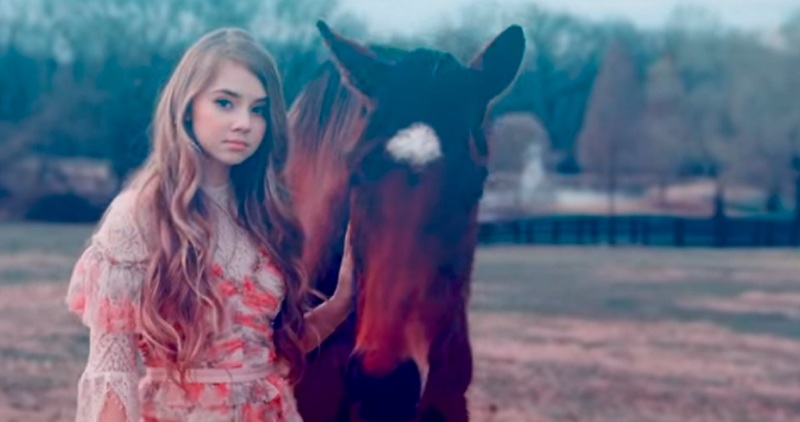 Remember to share Tegan Marie Horses with other country music fans.